The giveaway is now closed. The winner of the giveaway is Lesley. I will contact you and you will have 36 hours to get back to me or another winner will be chosen. So Smart is top rated. They have been trusted for decades for bringing great award-winning dvds, music cds, multipacks & gift sets and other great products are enjoyed by kids all around the world. They have children dvds for 6+, 1+ and 3+ years old. Great for a child to learn and enjoy watching a video. The children dvd, "Music Sound" has a nice soft music playing for a child and shapes that turn into flowers, boat giraffe and other shapes bring alive. Any kid can love to watch. This video, "Music Sounds" is intented for children 6+ months; which is great for a child to get attracted to the music and colors. 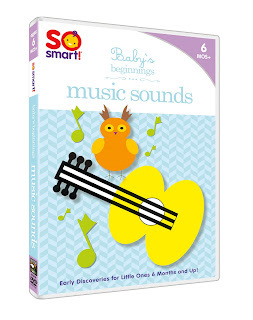 Note: I complimentary received the (Music Sounds) Dvd from So Smart for free to review. I was not compensated for this review. The honest opinion, I wrote about the review are my own. So Smart has agreed to offer (We Go! 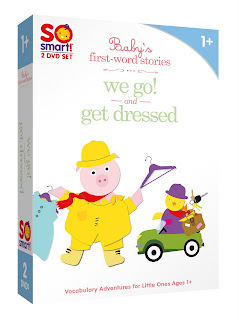 and Get Dressed) 2 pack of dvds to giveaway for one reader. This Giveaway is Open to US Only! Contest ends at 11:59pm EST on March 1, 2010, when I will draw a winner at random. Please leave your email address if it is not visible on your profile. I will notify the winner by email and they will have 36 hours to respond! I mentioned it on their FB fan page! My son would LOVE this! Thanks for the chance! I am following your blog! Following you on Twitter! Twitter name is harvest42morrow. Commented on So Smart FB page. Thanks for the chance. Service : Client assistance ended up being incredibly good. Person on the telephone possessed a welcoming approach as well as My wife and i received funding quick. Value :My husband and i gained an excellent value given that payday loan fees happen to be remarkably reasonable.